Ask fellow campers about "Lake Falling Star RV Resort" and nearby attractions. Nice park with a great manager. Sites are concrete with built-in tables and BBQ stand. No fire pits!! Very nice pool. View of the lake. Only negatives are very little shade and power went out for 3-4 minutes several times while we were there. We camped at Lake Falling Star RV Resort in a Travel Trailer. Park is actively managed, owner is hands-on in taking care of guests. Rules are reasonable but strictly enforced (one guest was ejected after a few hours for being rude and non-compliant). Amenities are extensive, regular social gatherings are common and there is a calming view of Lake Tinney. Water pressure & electricity were both good. Did not use park WiFi, no cable TV. Laundry facility small, but modern and clean (could use more parking space). Roads are well-developed and heavily graveled. Guests are mainly extended stay and snowbirds, all very friendly and helpful. This is off the beaten path, yet close to banks, groceries, Wal-Mart, etc. We stayed in a pull through space (concrete & level) in a fifth wheel. We stayed 10 days. As full-timers, we will most likely return next year for a longer stay. We camped at Lake Falling Star RV Resort in a Fifth Wheel. Services can be found in nearby Lockhart, Bastrop and Austin, Texas. Lockhart is known for Texas BBQ, Bastrop for historic old downtown and Austin is a modern city known as "Live Music Capital of the World" with all services and amenities. There are no less than 4 beautiful state parks and Circuit of the Americas (world class automotive race track) within 40 minutes drive. Don't let the remote location of this park fool you! Super clean sites, excellent laundry, clear satellite view, extremely helpful owner, many friendly winter Texans, great lake view, security gate, nice pool, hot tub, top-notch power/water/sewer, many group events, etc. Rate is Good Sam 10% off. This place has it all and deserves a 10! We would definitely stay again. We camped at Lake Falling Star RV Resort in a Fifth Wheel. You have to try the BBQ in Lockhart. We suggest Chisholm Trail for best value. This park is incredible! The spaces are huge, with some including your own stone BBQ table a and picnic tables. Most spots look over the private lake and encourage you to walk by the lake. Restrooms, showers and laundry super clean! Can't wait to stay here again! Owners have a real winner here! Pool, patios and too many amenities to say. What a find! We camped at Lake Falling Star RV Resort in a Fifth Wheel. Close to Lockhart for best Texas BBQ. Close to San Marcos, Friend and Austin. We came for a week but stayed for a month. Such a wonderful campground with amazing owners/managers. The sites are very large and most have a view of the private lake. Level gravel parking spot, each with a cement pad the length of the site and 18 - 20 feet of grass yard between neighbors. There are 3 restrooms that are very nice and actually large individual rooms with shower, sink and toilet. They are locked so you need a key that you "rent" for $5 refundable per stay. They are immaculate as is the laundry room which has three new washers and dryers. There is a beautiful pool and spa but it is not heated so we didn't use them this time of the year. We had friends visit and they rented one of the cabins. Wow! They are all built by the owner who is a contractor and they are amazing, nothing rustic here. The rate reflects the monthly rate. We would definitely stay here again! We camped at Lake Falling Star RV Resort in a Motorhome. Nice quiet family run park. A good place to relax. This was our last stop on the way home. The park has a nice pond that most of the sites overlook. Would be nice if they had some pull in sites for motor homes could look our front windows to see the pond. But we went into a pull through that allowed us to view the pond and sunset. The pull through site had a slight incline, but we where able to level up OK. The pool closes at dark. I think they had showers, but they where locked so we didn't use them. The WiFfi worked well. No cable, but they get plenty of stations on antenna. We would stay here again if we are coming back that way and have a few extra days on our vacation. Owner was very friendly. We camped at Lake Falling Star RV Resort in a Motorhome. We stayed here this past weekend, and we absolutely loved this park. 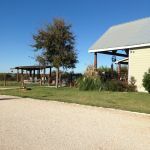 We wanted to enjoy the things to do in the area, so the owner and her family, watched our two spoiled Boston Terriers while we went to Shiner, Schulenburg, San Marcos, Gruene, and Schertz. The Pool was refreshing and beautiful, and the restrooms & showers were sparkling clean. The lake is so beautiful and the stay was very peaceful. The owner directed us to some very good places to dine, one was just down the road at Wizzerville Pizza. We will stay here again on a future trip. We camped at Lake Falling Star RV Resort in a Fifth Wheel. This is a very nice "get away from it all" park. We had the most expensive sight and it was huge. On a cement pad with a nice view of the private lake. The pool is absolutely beautiful. Sparkling clean with shade and a very pretty view of the lake. The owners are also the managers. They are thoughtful and friendly. The facilities are in perfect order. And if you like barbecue you are smack in the middle of the several small town with world renowned barbecue restaurants. 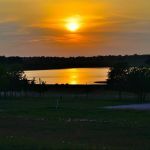 We camped at Lake Falling Star RV Resort in a Fifth Wheel. We have been at Lake Falling Star RV Resort for a few weeks, and it is a lovely place to stay. Being a country setting with a small lake, it's peaceful and quiet. Lots of places to walk your dog, as it sets on several acres. They have several very cute cabins. Kelly and her family, the owners, are very friendly and helpful and makes everyone feel at home. They work hard to keep it clean and pleasant. I highly recommend it for a getaway. Very children and pet friendly. We camped at Lake Falling Star RV Resort in a Fifth Wheel. Very nice park with friendly and helpful owners. Very well maintained. Dark and quiet at night. Excellent WiFi. Rate is before Good Sam or Escapees 10% discount. We are here for the F1 race in Austin and many campgrounds in the area jacked their rates and required minimum stays. Lake Falling Star not only kept regular rates but continued regular discounts. We camped at Lake Falling Star RV Resort in a Fifth Wheel. This was for a rally, having stayed here before I did not give it much of a chance. But it was one of the best rallies ever. You have to work at it but everything came together. Not for a big club we only had 26 of our members present. We camped at Lake Falling Star RV Resort in a Motorhome. Mixed review, staff very friendly and helpful. Sites not level and level with difficulty. Ended up in a 30amp site, my fault. Wi-Fi good and useful. No trash pickup and dumpster out of the way for departure. Only real complaint was dogs allowed to run loose and the owners do not pickup after them. I have two dogs but control them and pickup but I ended up picking up for the roaming dogs. Not much to do in the area but a restful park. I will return. We camped at Lake Falling Star RV Resort in a Motorhome. Quiet and peaceful park with friendly owners on-site. Beautiful lodge available to campers. We camped here with friends, and the lodge was great for getting together for card games, etc. We also enjoyed relaxing by the pool and walks by the lake. Very spacious sites. We stayed in a back-in site overlooking the lake and surrounding country-side. We camped at Lake Falling Star RV Resort in a Fifth Wheel. This was second time we stayed at this park. The first time we enjoyed our stay mainly because of the other campers that were here. When we went back this time it was unkempt and unfriendly. We did not enjoy ourselves and will not go back. We camped at Lake Falling Star RV Resort in a Motorhome. Great experience and a welcoming atmosphere. The family who owns the park live on site and are very accommodating. Was there over a Thursday night and the entire park has a "pot luck" at the beautiful lodge. Everyone who is staying there participates. Lots of fun. Entire park well maintained. Will definitely come back. We camped at Lake Falling Star RV Resort in a Travel Trailer. Are you affiliated with Lake Falling Star RV Resort ?